Cite des Sciences et de l’Industrie (City of Sciences and Industry), one of the biggest museums in Paris—and, in fact, the largest science museum in all of Europe—is rarely visited by tourists, likely due to its location on the very outer edge of the distant 19th Arrondissement and the fact that there’s not much else of interest to see in the blandly residential district. As such, the science center rarely makes it onto visitors’ must-see lists. That’s a shame, because the museum is terrifically entertaining and even offers occasional IMAX films and planetarium presentations in English (or with English subtitles). 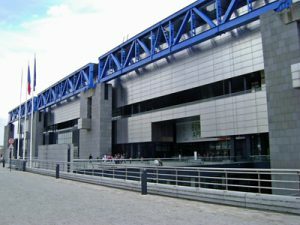 And its more than 5 million annual visitors can attest to the universal appeal of the sleek, modern and highly informative science center for both adults and children alike.Located in the Parc de la Villette, the third largest public park in the City of Paris, the Cite des Sciences et de l’Industrie was built from 1980 to 1986 through a program by French President Valery Giscard d’Estaing to expand scientific and technological knowledge among French citizens, particularly among the nation’s youth. 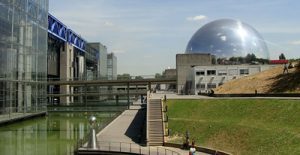 And perhaps the museums most iconic structure, La Geode—a large mirrored sphere detached from the main museum structure that houses a state-of-the-art IMAX theater. 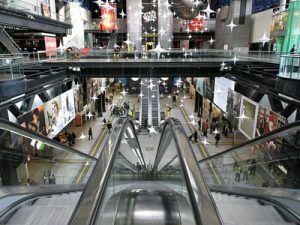 The modern-looking museum was built using the steel trusses of an old slaughterhouse for its framework, and actually was a replacement project when construction on a planned shopping mall on the site stalled in 1973. 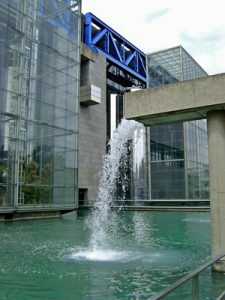 The French government in 1980 commissioned architect Adrien Fainsilber and engineer Peter Rice to create the science center. 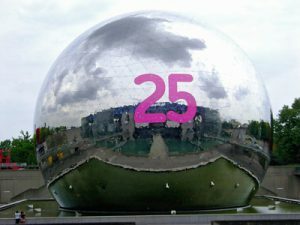 The facility was inaugurated by French President Francois Mitterrand on March 13, 1986, the date that the European Space Agency’sGiotto space probe rendezvoused with Halley’s Comet. The large Parc de la Villette that serves as home to the Cite des Sciences et de l’Industrie actually hosts a considerable number of scientific and artistic organizations, museums, concert halls, live performances stages and theaters in addition to children’s playgrounds, large green spaces, dozens of walking paths, and a series of picturesque canals and basins that branch off of Paris’s famed Canal Saint-Martin. 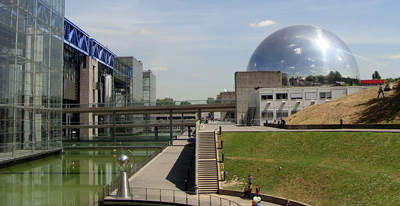 Among the other specific destinations in the park in addition to the science center and the park areas are: Cite de la Musique, a music museum and concert hall that serves as the permanent home to the Conservatoire de Paris; Le Zenith, a 6,300-seat concert hall; several smaller performance venues; the Cinema en Plein Air, an outdoor movie theater; and the newly christened Philharmonie de Paris, a 2,400-seat symphony hall that was opened to the public only seven months ago. 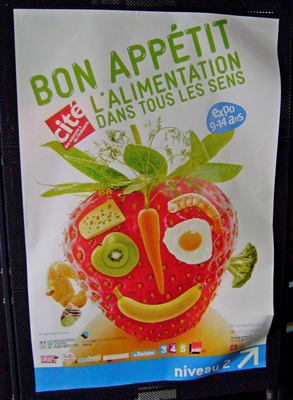 Cite des Sciences et de l’Industrie is open Tuesday-Saturday 10 a.m.-6 p.m., and Sunday 10 a.m.-7 p.m. The museum is closed on Mondays and on Jan. 1, May 1 and Dec. 25. Admission fees vary by age and by which exhibits and shows patrons plan to experience. Generally, adult admission for the permanent and temporary exhibitions is 12 euros, while admission to only the permanent exhibits and one planetarium show is also 12 euros. 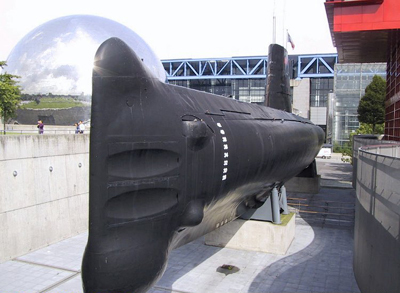 Add-ons include admission to the Argonaute submarine for 3 euros and an additional 12 euros for an IMAX theater screening.Current films being shown in the IMAX theater include Destination Pacific, Hidden Universe, Grand Canyon, Under the Sea and D-Day Normandy 1944, which is shown in 3-D. This entry was posted in Hidden Paris, Museums and Galleries, Outskirts of Pars, Sight-seeing and tagged Cite des Sciences et de l'Industrie, Francois Mitterrand, Parc de la Villette, Valery Giscard d’Estaing by Bob Adams. Bookmark the permalink.